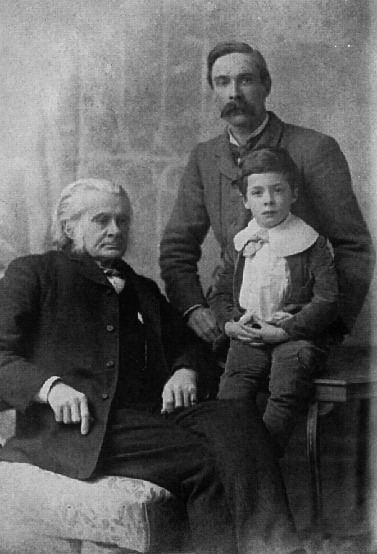 Thomas Henry Huxley, son Leonard Huxley, and grandson Julian Huxley in 1893. The Huxley File. This image is in the public domain in the United States because its copyright has expired.